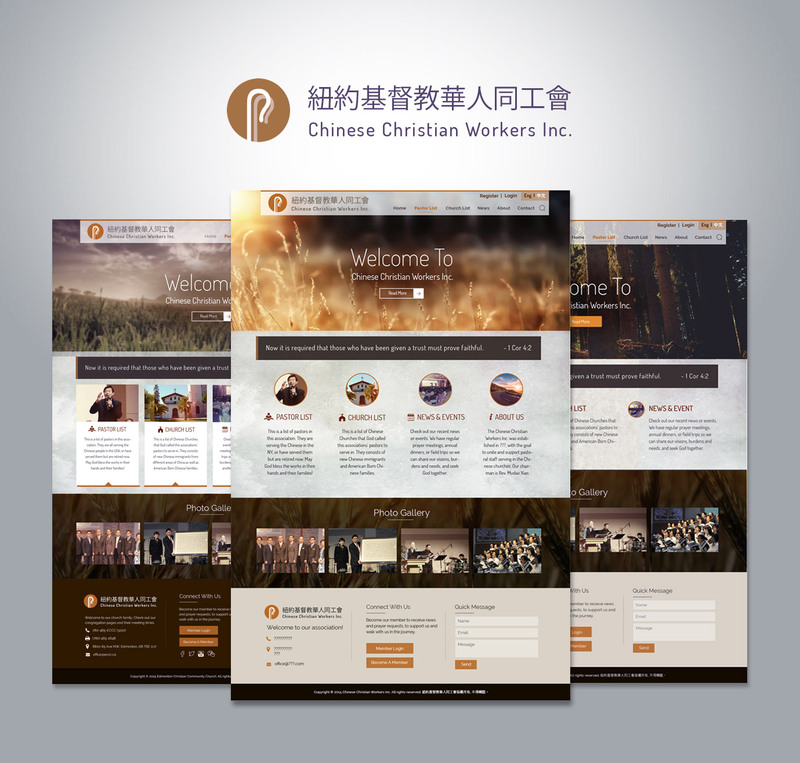 This responsive website was designed by Yuling for the Chinese Christian Workers, a non-profit organization that provides support to Chinese pastors in New York. It includes dynamic content feeds, a database for Chinese churches' contact info and a database for pastors' directory. Yuling also designed the logo for the organization.